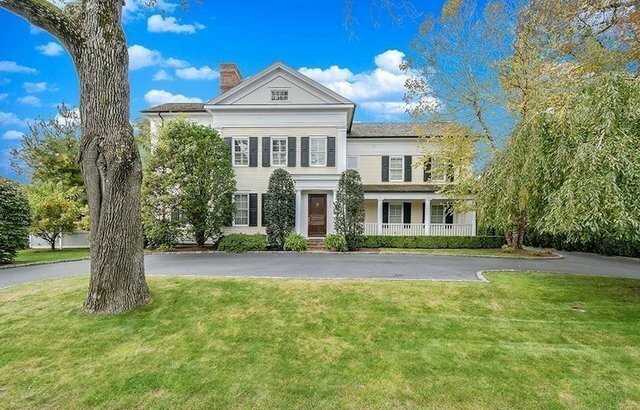 Delight in the splendor of this Federal-style home that sings with master craftsmanship. Enjoy remarkable features designed and built by award-winning architect Alex Kali-Nagy, including chef's kitchen with adjacent family room, mudroom, formal living/dining rooms, and elevator.Three finished floors with five en-suite bedrooms and five fireplaces provide elegant ambiance throughout this stately home. Additional optionality for expansion in the basement with soaring ceilings and elevator for easy access.Three covered porches provide splendid outdoor entertaining areas among the hydrangeas, boxwoods and mature landscaping, and the coveted location allows for the perfect blend of privacy and the convenience of sensational South Avenue.